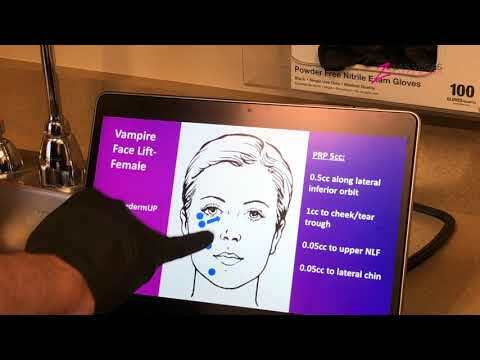 Today, I had a Vampire Facelift and the Dysport and some Botox on the lines on my forehead. The injections were not bad, not bad. They numb you first and then you get these cute little balls to squeeze if you're feeling something. But no, it's not a hurtful thing at all. I think I've been a patient for four years, and I keep coming back, because Dr. Zimmerman is an artist. I see the difference as I'm aging in my face, and he manages to be just... The spots that he picks, he fixes everything, the lines, the forehead. He's an artist. I don't know what else to say. I'm very, very happy with the results. Done Vampire Facelift, done the Vampire Facial. I've done the new machine that he has which works great on the fine lines, the Dysport, the fillers, a little bit of several different things, and it's wonderful. He's very gentle and he knows just what to do, so it makes a big difference in my face, so I'm happy. The staff is a 10 also. He's got a great staff, you know what? Very gentle. When they take the blood for the PCP for the facial, I don't even feel it. Everything smiles and from when you come in, the girls in the reception, everybody has been wonderful. It's a pleasurable experience, even though it's a little uncomfortable.